Be honest with yourself about what you want out of a dating relationship. Do you want a long-term relationship? Are you looking for a spouse? Do you just want a buddy with whom to hang out or go places? Are you looking for a sexual relationship with few strings attached? Once you are certain about what it is that you are looking for, make sure to also be honest about it to potential mates. Do not lead someone on who is looking for a serious relationship if you are not in the game for the same. If you sign up with a dating serving, be honest about your age and your looks. If you are bald, say so. If you are 79 years young, say so. Do not shave 14 years off your actual age and hope that you can pull off that look when it gets around to meeting your date. If she or he thinks they are connecting with a 65 year young senior, they will be very disappointed to meet up with someone who is 79. This disappointment is probably not because of your age, but because you have seen it fit to be dishonest. Similarly, if you are dating online, keep in mind that things might have changed a bit since you were last in the game. While there have always been those who sought to prey on unsuspecting seniors, usually in order to steal their nest egg, now you have to contend with a whole new crop of thugs: online stalkers. 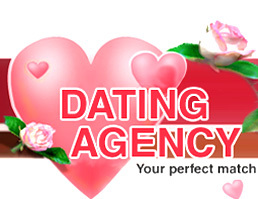 For this reason, set up a special email address that you will maintain for your online dating purposes. Do not answer questions about your telephone number or address, and instead be evasive by listing the next big city that is close to the city in which you live. When you are getting to meet up face to face with your Internet beau, do it in a public setting, and even better, do it as part of a double date. There is always strength in numbers, and you should plan on meeting your date with a reliable couple by your side. Do not discuss financial things, such as your investments or social security checks. This is information that should be given out on a need-to-know basis, and an Internet date does not need to know this information. If Internet dating seems a bit too modern for your taste, sign up with your local senior center to learn about their activities. Many times you will be able to meet up with other seniors who may also be looking for companionship or love. Of course, once you are back in the game, you will find that some things that may have irked you about your spouse for the past twenty years will also irk you about a new date. Similarly, you may find that you will slip back into old patterns that you had in your last long-term relationship. Sometimes these patterns can be comforting, yet at other times you might have found them annoying then, and so you will probably also find them annoying now. Therefore, if your date begins to behave like a cantankerous spouse, and perhaps begins to criticize your every move, and belittle you to others, do not feel that you will have to endure this kind of behavior once again, just for the privilege of having someone new to love or care about. Instead, kindly, politely, but firmly bid your date farewell and do not entertain requests for subsequent dates. After all, there really is no reason to put up with behavior that bothers you or that is downright rude. You are worth so much more than that, and while it may be easy to slip into old habits, it most certainly is not required! Interested In Free "Finding and Keeping the Right Person" Tips & Ideas? Go to http://happyrelationships.myaudiobox.com/tips_tricks.html. You are welcome to use this article as long as you include and do not change this resource box.